Our Fab Blog http://geordiesgeetaboot.blogspot.co.uk/ Have a deek…..
Its been a while since I had a chance to blog – been dead busy with Christmas and new stuff for the New Year so haven’t had a chance to show some of the fabulous photos of our products which our loyal customers have sent in. 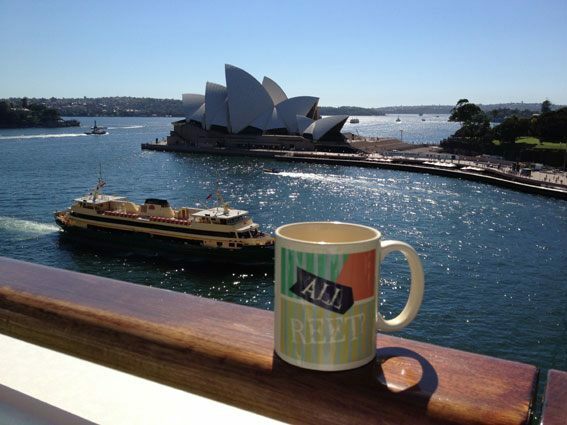 If you haven’t seen it already check out our blog http://geordiesgeetaboot.blogspot.co.uk/ basically our mugs are photographed all over the world. Its fab and never ceases to amaze me where they are taken. We’ve had photos from the Panama Canal, Bora Bora, All over Australia and even up the CN Tower!! Love it! Hope your all getting sorted for Christmas…….. 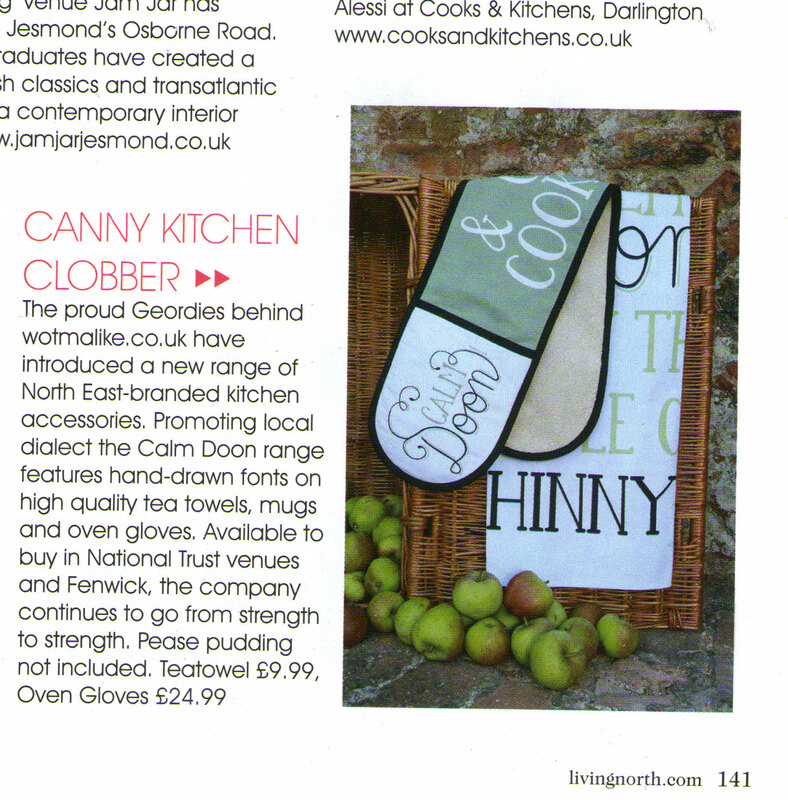 So Jo our designer did an interview with North East Gifts this weekend. They have a great relationship as Jo is now designing bespoke products just for them. 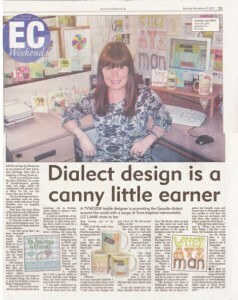 Here is a link to the interview http://northeastgifts.co.uk/interview-geordie-cards-gifts-designer-jo-burrows/ and here it is below! 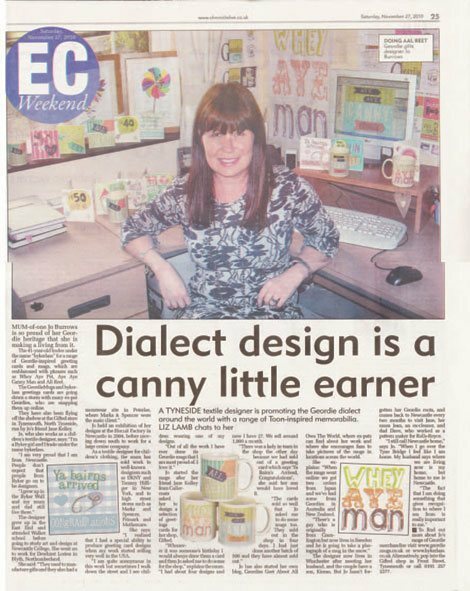 Geordie Cards and Gifts designer Joanne Burrows, also known as Byker Lass, has created a range of products that has received global recognition and changed the way a lot of people send greetings cards. Her focus on creating products that speak to a specific region of the UK, whilst avoiding stereotypes and cliches, has allowed her to remain at the top of her game as the most well-known and respected designer of regional-inspired and design-led cards and gifts. Jo’s Geordie, Northumbrian, Calm Doon and Mam ranges can be found here at North East Gifts and we have worked in collaboration with her on a range of our own exclusive Mackem Cards, our Workie Ticket keyring range and more products coming in 2014. You go by the name of Byker Lass – how was growing up in that area of Newcastle? 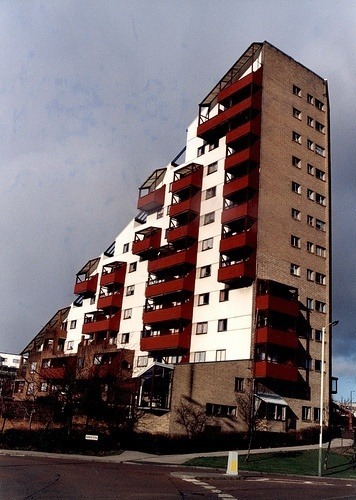 I grew up originally in ‘old’ Byker – terraced houses with back yards, outside toilets and no bathrooms – til I was 11. 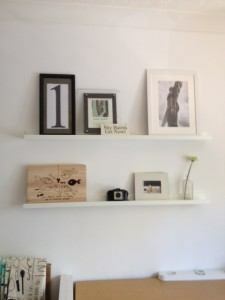 Our house was then demolished and we moved to ‘new’ Byker, inside the Byker Wall. I love the community spirit, which I know is present even today as my parents still live there. I have very fond memories of growing up and the vibrant people I met and still know now from Byker. Did you always have creative flair and was it an early career choice for you? Apparently I could use scissors at age 2, by age 4 I could knit and my dolls were the best dressed in Byker. I never studied art at school but got A-grades for O’Level and A’Level just by sitting the exams. My first proper painting at age 16 sold for £300! So I knew I was on to a winner. I love to paint and have shown my work at an exhibition at the Biscuit Factory in Newcastle. I would actually love to be a sculptress at some point in my life. Before you got into designing your own products, what had your design career consisted of? My first proper job after University, where I did textile design, was for Dewhirt Lorien in Blyth as a gift designer on the company’s Boots account. I then went on to design for Marks and Spencer, creating textile-related gifts before leaving to go travelling by taking on a job as cabin crew for an airline. I never really had the money or opportunity to go anywhere until then. I worked for an airline in the Middle East and had a ball. I then got what I considered to be the best job in the world with a cruise company that was looking for someone with design experience to work as a travel researcher. I had the enviable job of travelling all over the world looking at destinations for cruise ships, taking photos and writing illustrating and creating brochures. I was in New York when I met Nick, who is now my husband. Nick was working on board the cruise ship Oriana. We got married, had a son and I got representation by big agents in New York and in London. I worked freelance as a surface pattern designer until eventually specialising in stationery design. What was it that sparked your interest in designing Geordie cards and mugs? A owner of a shop in Tynemouth asked me to design some cards for their store. I put some Geordie dialect designs onto cards and they sold out instantly. I then talked a mug manufacturer into printing some Geordie mugs for me, even though the numbers were very low at the time. My love for dialect and good commercial design are a perfect match I love making cards for Geordies as it’s so close to my heart. In the early days, my mobile phone number was on the back of the cards and I got calls from other shops asking me to supply them. The domain name Geordie Cards was taken, so I registered Geordie Mugs and launched my own website! What was the first item in the range? 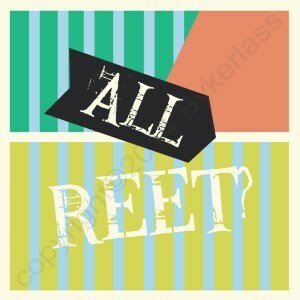 It was “All Reet” Geordie card, which was printed on my printer from Argos! I started the business with just a few hundred pounds and I feel in hindsight that this was I good thing. If I’d had loads of money to support the launch of the business, I think looking back that I would have made mistakes – especially with products. I have come to know the market and grown organically. I haven’t borrowed money but have focused on building great relationships with my customers and suppliers, most of which I would class as friends. Your range of Geordie gifts has grown and grown – is there anything you’re particularly proud of? I love the Blaydon Races 150th anniversary stuff. I was in London on the 9th June 2012 and went to a big Geordie celebration at a pub called the Gun Makers, which is owned by a Geordie. The BBC choir were there singing Geordie songs and my Geordie Mugs products were everywhere. It was the first time I got a lot of love face-to-face from customers. It was fab! How do you keep up with all the popular Geordie phrases and how they develop over the years? Sometimes just listening to people on the Metro makes me laugh and will trigger an idea. If the most obvious ways of using expressions don’t work, you have to find an angle to fit an occasion. 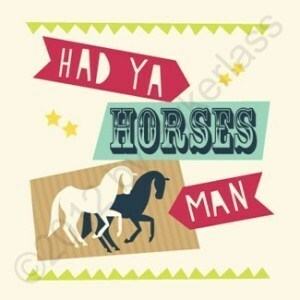 For example, the phrase ‘had ya horses‘ is well known in the North East. I used for a Geordie card and I often think ‘would I want someone to send me that?’ but with good use of design it works. I only create products that promote the various regions in a positive and non-stereotypical way. You’ve also ventured into Mackem cards, with North East Gifts, as well as Northumbrian, Scouse, Manchester, Cumbrian and most recently Yorkshire – do you think every area should have a range of cards and gifts that speak that area’s language? Yes, definitely, but I respect that I’m not an expert in other regions’ dialects, so listen to experts and locals for advice. Fortunately, within the areas I cover, I have either family or really good friends who have kept me right about certain words and phrases. Scouse Stuff is great brand for us as we have a design agent in Liverpool who also owns several shops and is really on-the-ball with Liverpool expressions, so our Scouse cards and gifts have gone down really well. Yorkshire Yorkshire, our latest range, is a series of Yorkshire cards and gifts that was inspired by a friend and fellow designer, Dawn Machell – she is a Yorkshire lass and was instrumental in putting the phrases together. March was a massive month for North East Gifts what with Mother’s Day and the lack of availability of Mam cards and gifts – were you inspired to create a Mam range by not being able to find Mam cards in shops? There can be inverted snobbery about dialect but I have a Mam, and most of my friends have a Mam, so I decided to create a range of Mam cards that would suit different demographics and tastes. 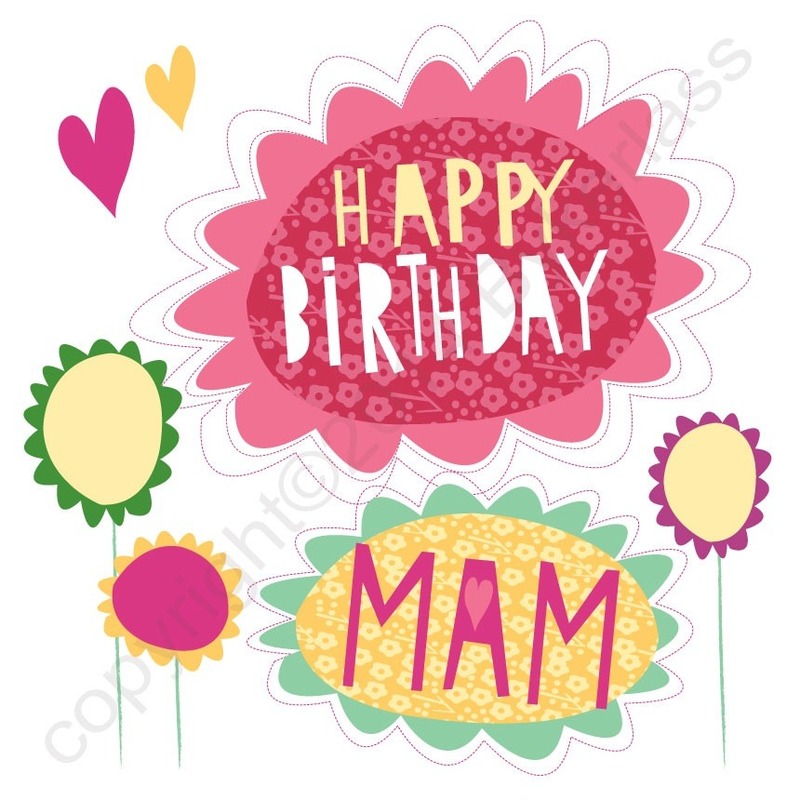 It was nice knowing that loads of Mams around the UK, not just Geordie Mams as we stock shops in Wales and Northern Ireland too, would be opening a card designed by me on Mother’s Day. Father’s Day is next on the greetings cards calendar – is there less of a market for North East Dad cards and gifts with Dad being a more widely used term? It’s really hard to design for men and gifts in general – I know this from my previous career history. I always thought ‘Fatha’ was derogatory so I haven’t really gone down that route. Father’s Day has never been as big as Mother’s Day for us – I do have a couple of tricks up my sleeve though! Some nice new Geordie Father’s Day cards which will be hitting the shops very soon! Do you have a lot of interest from Geordies abroad and other North East ex pats? Yes, and I love the fact that we get photos of people all over the world with their Geordie Mugs. My favourites are the ones in Australia but also love the mug in the Panama Canal and the CN Tower! We don’t post overseas but fortunately North East Gifts do, so its nice we can direct ex pats over to there. People are passionate about Newcastle, especially when they are away from they place. The Tyne Bridge has a huge pull to us all so a Geordie gift that remind them of home are a nice way to remember – especially something like Geordie City as it features some great landmarks. Will there be a new range for Christmas this year? I’m working on Christmas at the moment and it looks lush. I love Christmas and am known for my Christmas cards – so much so I have designed Christmas cards for most of the major department stores in the UK and America. There will be new really innovative products this year we are really going to push the range out with really stylish original design led Geordie gifts and of course fabulous Geordie Christmas Cards. What else is next for you as a designer and Wot Ma Like as a business? It’s lovely now to be asked to work with creative and original businesses and collaborate on products and ideas. Our relationship with North East Gifts goes from strength to strength because of a mutual respect for each other’s talents. I can’t wait for the newly designed kitchen boards to go on sale. I have a sample in my house and all my friends are badgering me for one already! That is always a good sign that something will do really well. It’s also nice to use premium materials and create employment by keeping manufacturing in the North East. All of our products are now UK made and 90% are made in the North East. Business wise, we have another region up our sleeves and also a national brand which has already got huge interest just from initial showings with design agents. We have delayed the launch date due to being mad busy with other regions and obviously it costs a lot to manufacture enough stock to supply hundreds of shops. 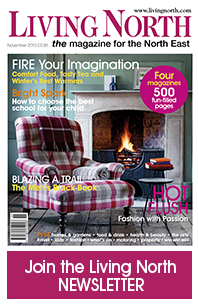 Dead happy to be featured in the beautiful and stylish living North (November 2013 issue). I just love looking at the gorgeous houses and interiors just need to sell a few billion more cards and gifts and perhaps I could have one of them!